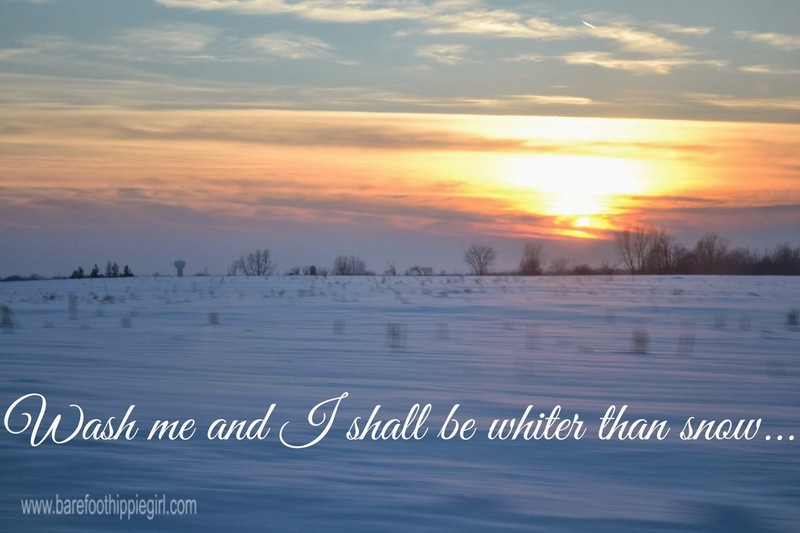 Break down every idol, cast down every foe; Oh, wash me, and I shall be whiter than snow." I remember singing this at a very young age, when we had a church meeting in our living room. Interesting how those lyrics and truths come back to my mind after years and years have passed. An idea that has been much on my heart lately is purity. I've written on purity. Purity is a topic that becomes more and more relevant each day we walk this earth. Purity starts in the heart. Not in dress. Not in actions. Not in words. But how does one have a pure heart? 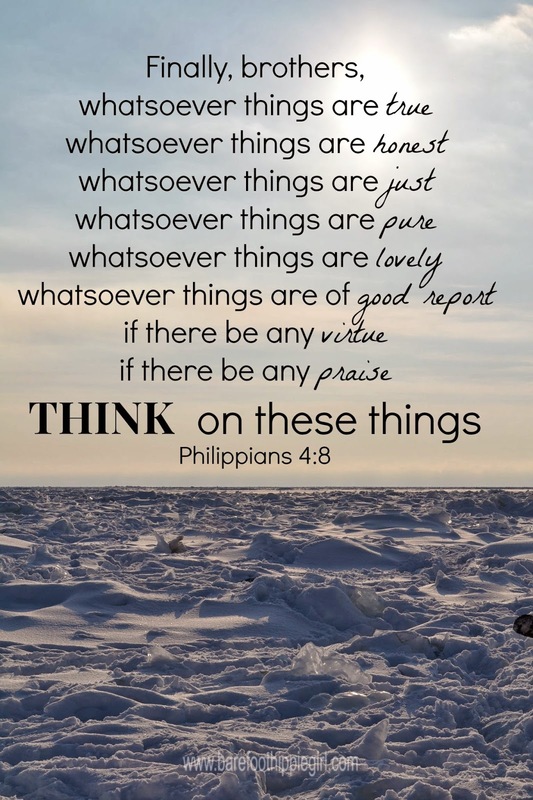 Purity of heart and mind comes from thinking on pure things. We are what we think. So often we coddle our sins. We hide our sins. We feel that we can muscle through to victory somehow. We end up defeated. Wallowing. Disgusted. Impure. Seeds grow in the dark. They do. They don't grow on top of the ground where they are exposed. Only buried seeds are the ones that grow. Same with impurities and sins that we allow to fester. Jesus, thou son of David, have mercy!